EBU jr lightweight champ Guillaume Frenois (42-1) was going to fight for the IBF International title December 15 in St Quentin but those plans are now scrapped. Instead Frenois (pictured above) plans to defend the EBU title February 18 in with St Quentin as site. Opponent is to be announced. Frenois won the EBU title with a hardfought decision over Samir Ziani and was back in training ten days later. His only loss came to Devis Boschiero back in 2013. Polish heavyweight Mariusz Wach now have German-Turk Agit Kabayel as co-challenger for the vacant EBU title. The EBU have set December 21 as deadline for purse bids or agreements. The title was left vacant by Kubrat Pulev, who fight Samuel Peter on Saturday (Dec 3) for the vacant WBA I/C title. Swedish superlightweight Anthony Yigit is normally based in London where he trains with CJ Hussein as coach. "Can You Dig It" Yigit is now on training camp in Aix-en-Provence (France). Yigit reports he works out three times daily with roadwork at 6 AM. Yigit take on Lenny Daws for the vacant EBU superlightweight title December 17 in Carshalton (UK) and is the first Swede in a EBU title fight since George Scott fought Gianluca Branco in 2001. The last Swede to win the title was heavyweight Anders Eklund and that was back in 1987. 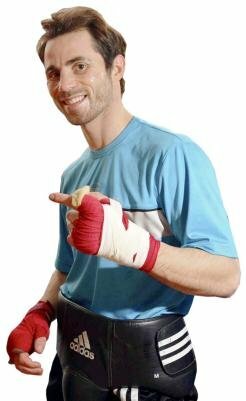 As for the last Swedish licensed boxer to win the EBU title (back then it was the European title but due some "inflation" it is now the EBU title) we have to go all the way back to 1966 when Bo Hogberg stopped Bruno Visintin in Copenhagen - he lost the title six weeks later against Yolande Leveque. When lightheavyweight Sven Fornling (10-1) enters the ring December 9 in Nykoping for the showdown for the domestic title against Naim Terbunja (10-1) it will be with reigning IBF International heavyweight champion Adrian Granat as chief cornerman. Fornling and Granat go back a long time and were gymmates already as amateurs in Malmoe and both are promoted by EC Boxing in Hamburg. As for the Swedish lightheavyweight title, well, the last time it was at stake was in 1932.